Shaded by eucalyptus, the Windward Pavilions’ breezy louver windows, polished timber floors and floor-to-ceiling glass provide a uniquely Australian hideaway. A private sundeck and infinity-edge plunge pool melting into the Coral Sea complete the luxury accommodation of qualia’s Windward Pavilions. Wake to the breathtaking views of the Coral Sea outside your window, then step from the beautifully appointed living room onto the north-facing sundeck to bathe in the private infinity-edged pool. Freestanding and spacious, with expansive waterfront views, the Hamilton Island luxury accommodation provided by the Windward Pavilions at qualia have a sunny northern aspect and provide four times the living space of a standard hotel room. 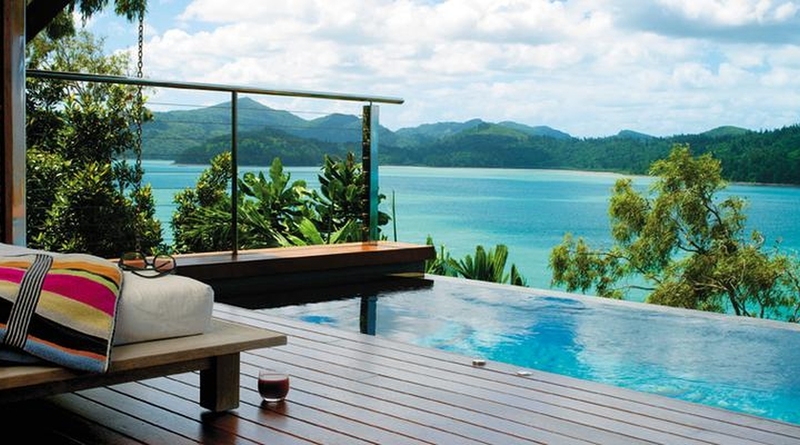 Qualia Windward Pavilion is situated in Hamilton Island, Australia.